Carbon fibers are known for their high tensile strength (stretch/pull). The threads are very small and are normally bundled together to make a stronger [rope" called a tow. A common tow in this application uses 3000 fibers (called 3K). Even though a tow may contain 3000 carbon fibers it is still small. These tows are woven together in a crisscross pattern to form a very thin fabric sheet. The term [Twill" refers to the pattern of the weave.The manufacturer will use a light weight clear epoxy to impregnate the weave to hold the carbon fiber in place as it is formed into a round tube. The epoxy adds some strength to the tube; but its main job is to spread the load evenly over all the fibers for maximum durability. Lastly, a very thin spray coat is applied to produce a gloss or matte finish. 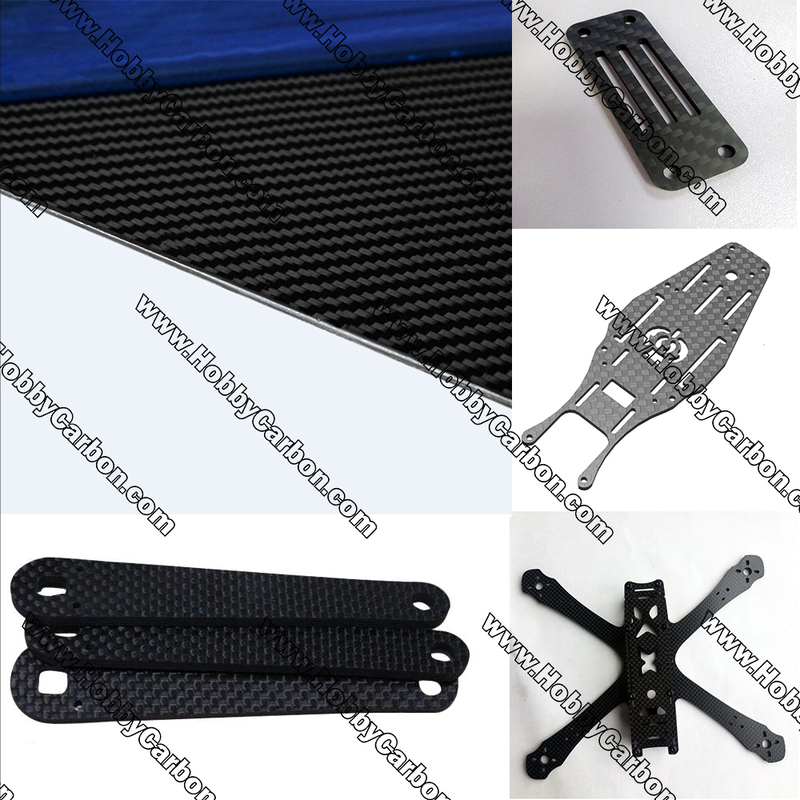 HobbyCarbon's carbon fiber plate have been used in high end drone assemblies, marine and aircraft applications. We are proud to offer simple high quality products at a discounted price. Previous: A new upgrade for our company Next: What you have to know about 7075 aluminum!